As more people enter /r/elm and the Elm discourse, I have thought a lot about how "online communities" work. Patterns of conflict. Why those patterns exist. Structures that would diffuse that conflict in healthy ways. Initially I just wanted to get yelled at less, but I instead stumbled upon "a cultural history of open source" that may reveal a path to more civil and productive online communication in general. Attendees will leave with (1) an inside perspective on open source projects, (2) a historical and cultural framework that I think can improve online communities right now, and (3) some interesting references and ideas to explore further in their own projects and interactions. 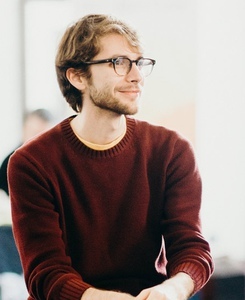 Evan created Elm, a functional language for web programming. He is an open source engineer at NoRedInk, where the front-end code includes more than 200k lines of Elm. He works on Elm full-time, developing the compiler, language, tools, and libraries.